View Cart “Eco Femme Travel Pouch (Water-Resistant Canvas) – NEW!” has been added to your cart. Ruby Cup is a healthy, high quality, and sustainable menstrual hygiene product made out of 100% Medical Grade Silicone and is reusable for up to 10 years. With every Ruby Cup you purchase, you support a schoolgirl in Kenya. Ruby Cup distributes donated cups along with educating girls about basic reproductive health and menstrual hygiene. Read more here. 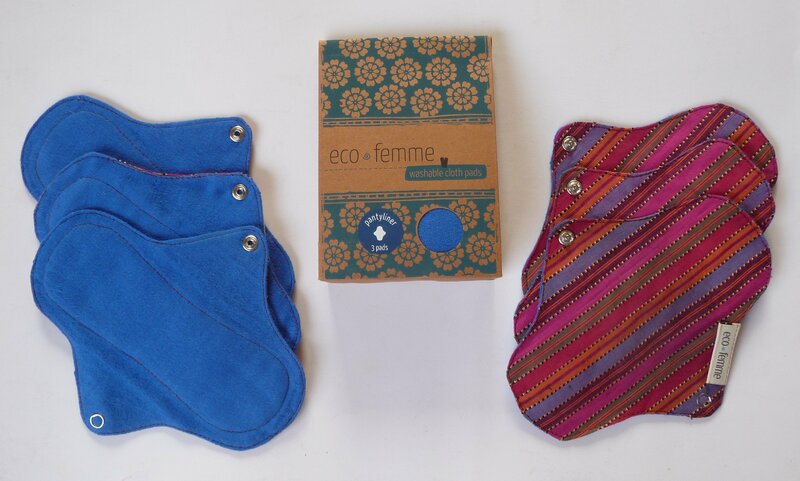 Eco Femme Pantyliners are ideal for backing up a menstrual cup or for light flow days. Soft cotton outer layer with ultra absorbent cotton flannel layers inside. 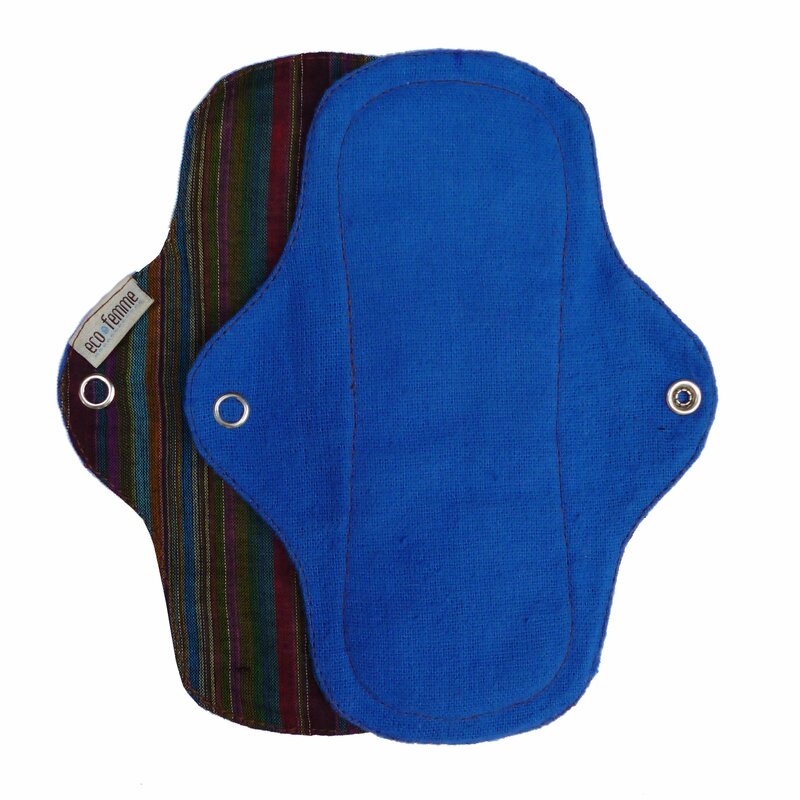 Available without PUL lining in Purple or Brown for a plastic-free pad. Nickel-free press studs close around underwear. Hand or machine wash; air/sun dry. Use natural detergent for longevity of pad and your personal health. Lasts 5+ years. 7in length x 2.5in width when snapped. Made by a Women’s Collective in India! 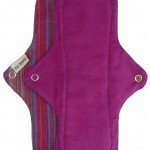 Pad for Pad Donation: For each sale, one pad is donated to a rural Indian adolescent girl (combined into kits of 4) through Eco Femme’s Menstrual Health Education Programs.